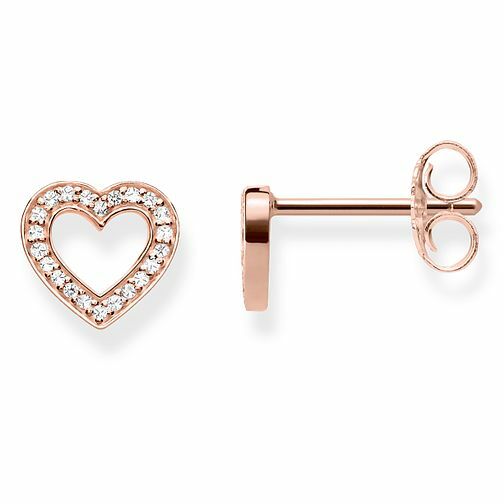 Glam & Soul Open Heart Zirconia Ear Studs in 18k rose gold plating. Feminine delicate design and timeless look: the zirconia encrusted, heart-shaped THOMAS SABO ear studs featuring high-quality workmanship are a symbol of eternal love and make the perfect romantic present for a loved one. Thomas Sabo Together Rose Gold Plated Heart Stud Earrings is rated 5.0 out of 5 by 1.